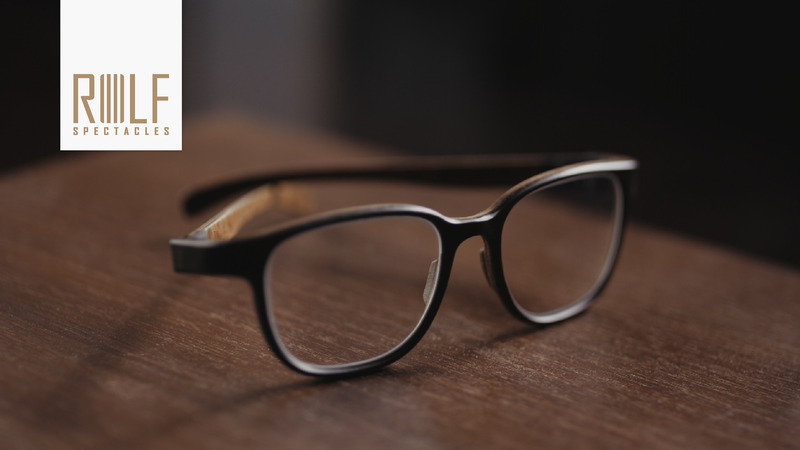 Anyone who wants to look more handsome or beautiful will be thrilled to encounter Bevel frames, designed by president and head designer Richard Mewha. Mewha didn’t set out to become a designer but instead came upon it gradually, starting with musical-cultural influences. Growing up in punk rock-era England, he was into music and the fashion that went along with it. “Then I decided to go to business school, with the aim of working for a design or fashion company,” he says. 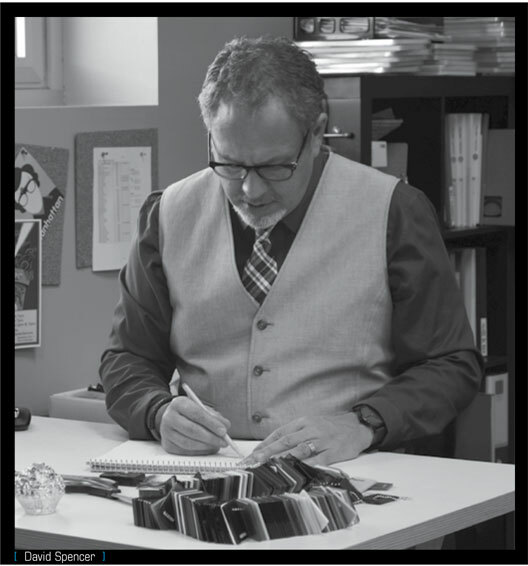 Landing a job with Alain Mikli in 1986 marked the beginning of Mewha’s fascination with eyewear. 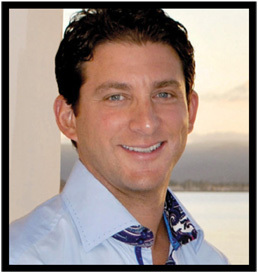 Hired as a sales rep for Paris, he was moved to New York City in short order, where he was promoted to North American sales manager by the time he was 25. 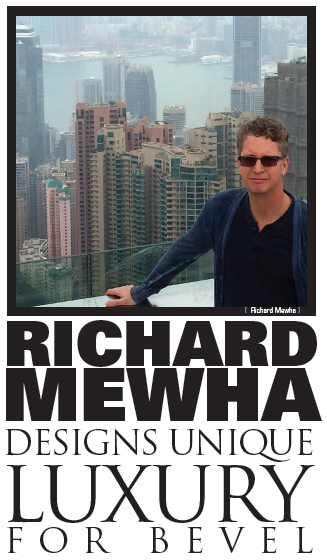 Mewha was attracted to Mikli’s high-fashion eyewear (“bordering on bizarre,” he says) and thrilled that he, personally, no longer had to endure boring frames: “I had been wearing horrible eyeglasses that I was ashamed of, before I started working with Mikli,” he admits. 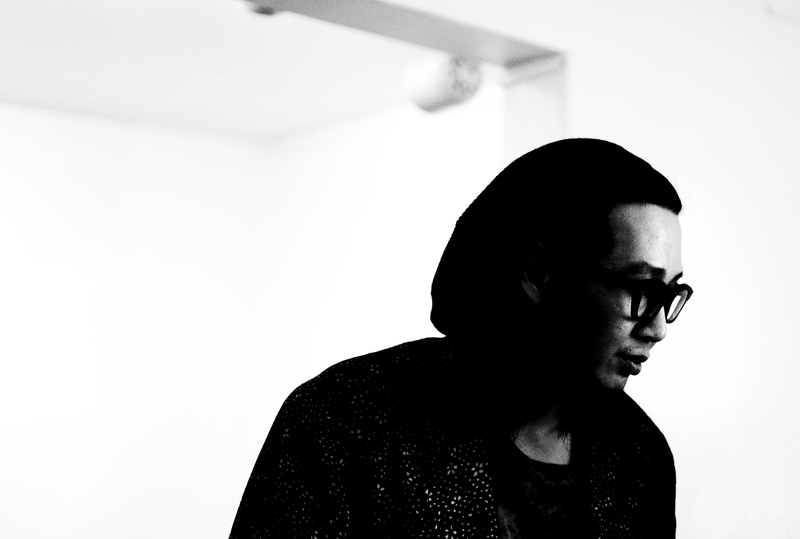 Mewha is a self-proclaimed ‘Japan-snob’ and has never considered making his frames anywhere else. His Japanese design partners understand what he wants to achieve and the quality is unparalleled. Always innovating, Mewha believes in the value of reaching for, and realizing new levels of design and craftsmanship, confident that discerning customers will appreciate superior products. 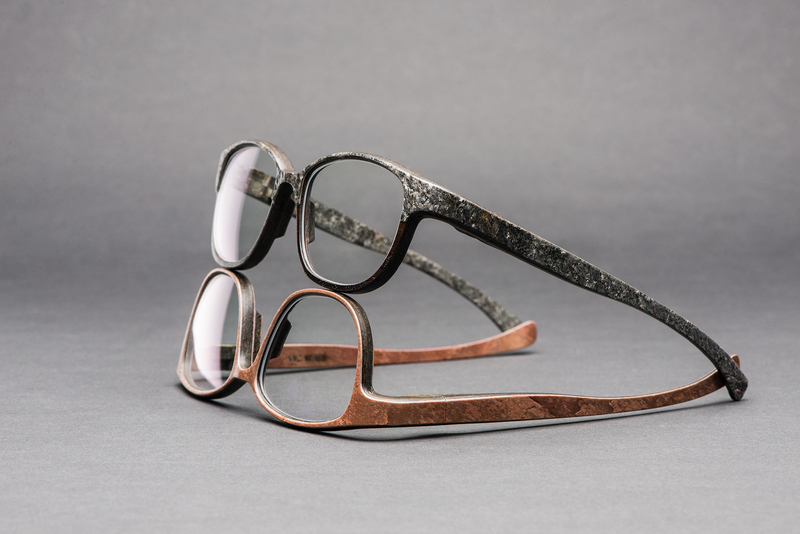 Another technical innovation from Bevel is 3-mm moulded titanium frames, launched in spring 2014. 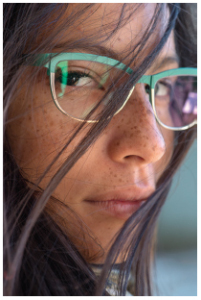 Mewha wanted to create a chunkier look while preserving the lightness, comfort and balance that are hallmarks of Bevel frames. The manufacturing process is complex and uses a total of six dies. Mewha explains: “We start with a block of titanium, which is punched out from a titanium sheet using the cutting dies, and then pressed twice using the other two stamping dies. The burrs left after stamping are trimmed using the trimming dies and then milled using a milling machine to smooth the edges. 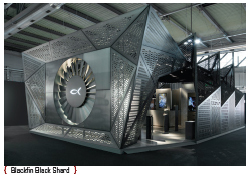 Bevel continues to innovate with materials, aesthetics and technology, drawing ever more consumers to the retailers who are selected to carry their collections. Mewha still can’t draw, but clearly he has everything he needs to bring his visions to life, making women more beautiful and men more handsome with the addition of très chic Bevel frames. Ralph Anderl is ready to die. And yet, he is far from somber. 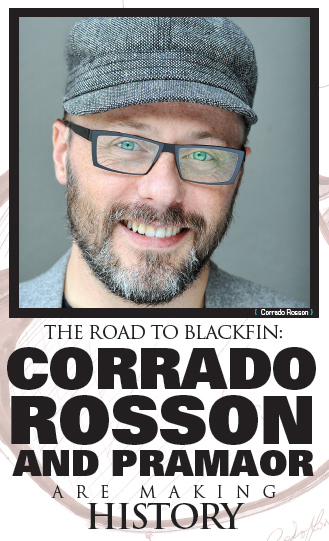 In fact, his is one of the freshest, most original minds in business today. Anderl, owner of ic! berlin, is a visionary fueled by eastern philosophies, his approach epitomized by Taoism’s yin-yang symbol with its rising and falling forces, interlocked and contained within a circle. 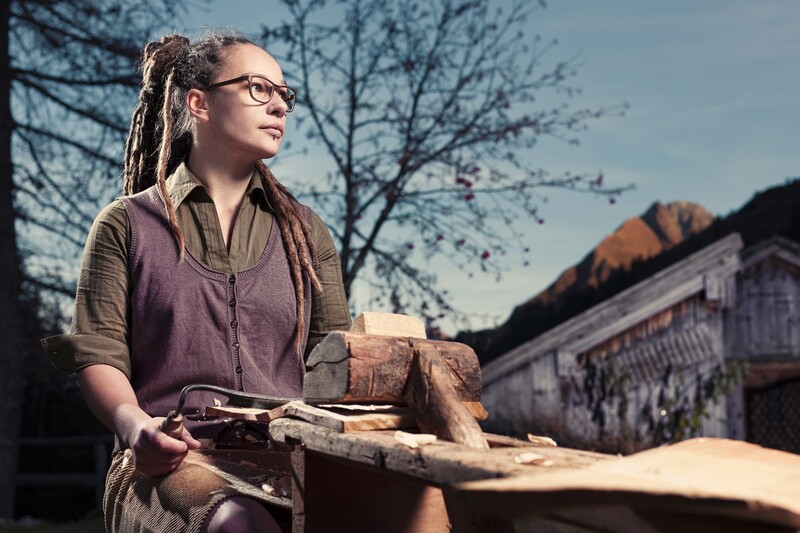 An artist and intellectual, Anderl himself embodies the fire of creativity, while also believing that the ‘drier’ aspects of business – accounting, managing, distribution – are part of a harmonious whole. ic! berlin frames are a perfect balance of the traditional and the new. Their newest metal collection for women, Something I Want to Tell You, is perfectly embodied in the words used to describe some of the models: Elegant, Innocent, Mystical, Playful, Kissable, Awesome and Divine. Subtle, modern materials marry classic shapes from the 1950s and ‘60s: pantos, browlines and cat eyes. 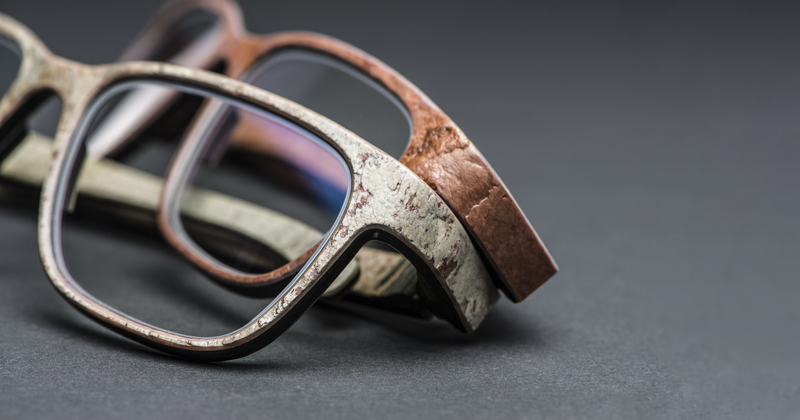 This collection was featured at this year’s Vision Expo West. The Katalog 2014, available for viewing through the company’s website (www.ic-berlin.de), reveals strong shapes and either vibrant or subtle colours designed to suit every mood and face. The work of art that is ic! berlin is infused with a playful air. A singer, Anderl started a company choir that meets every Monday morning. The ic! berlin website has a ‘news’ tab that is decidedly ‘un-newsy’, featuring a photo strip contest, videos of Anderl’s trip to Brazil to see the 2014 World Cup of Soccer, and a list of favourite things to do and see in Berlin. One can immediately discern that this is a unique company, informed by a distinct philosophy. It is also one that Anderl wants to last beyond his lifetime. Family businesses that prosper for three and four generations are rare indeed, but the current Oliver Goldsmith, head designer of the eponymous London-based company, isn’t resting on his laurels. 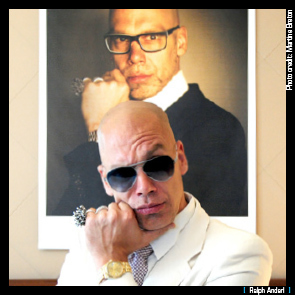 It’s hard to start at the beginning with the story of designer Oliver Goldsmith (b. 1942), because there are so many possibilities. 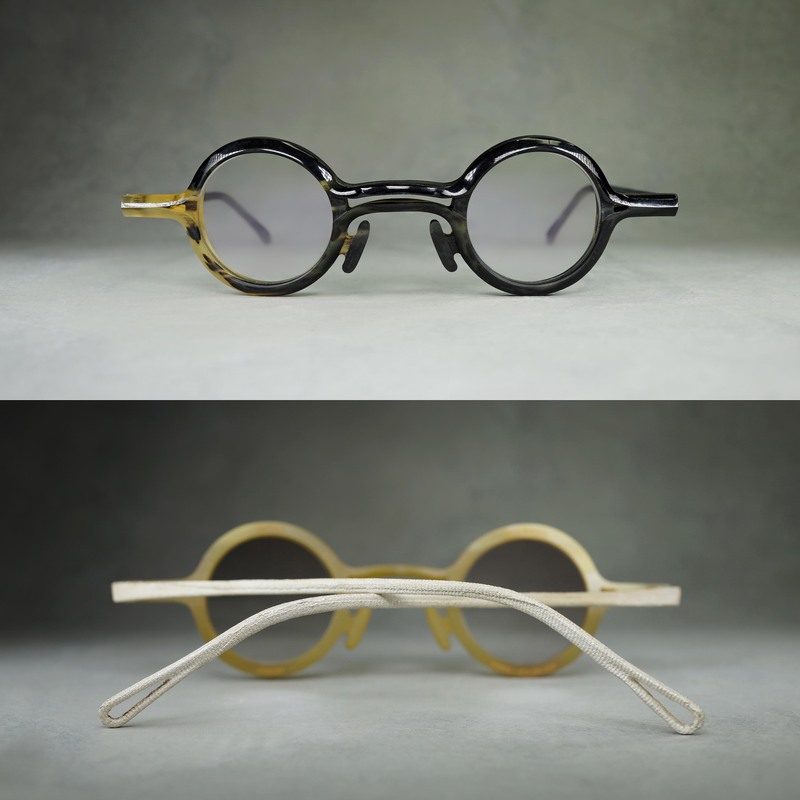 There’s the 1926 beginning, when his grandfather, Philip Oliver Goldsmith, opened his London workshop and hired craftspeople to fashion frames out of tortoise shell. There’s the 1936 beginning, wherein Charles Goldsmith, son of the original Oliver, joined the family firm. That Goldsmith forged the design dynasty, that reigns to this day. Then there’s the, shall we say, humble, beginning of the presently reigning Oliver Goldsmith in his early days under his father, Charles. 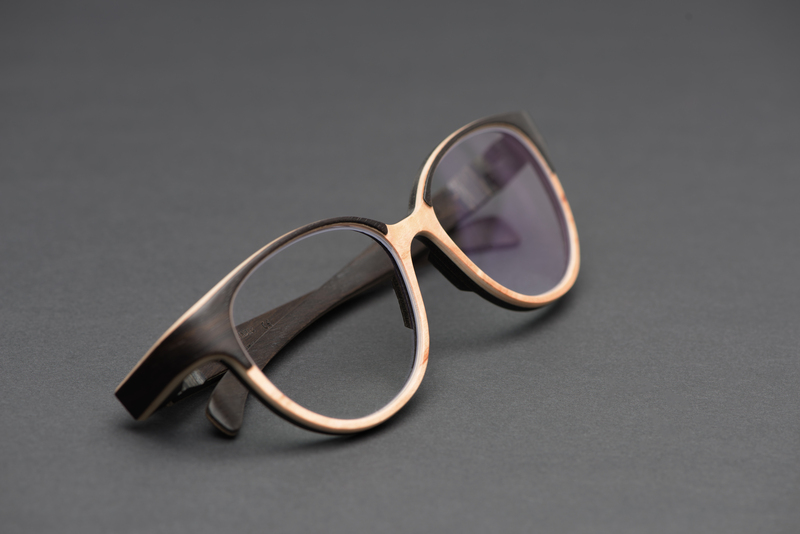 Charles Goldsmith kept the business afloat during the Second World War, creating eyewear by day and monitoring the bombing in central London by night. It was after the war, however, that the real design genius of the Goldsmith family began. Charles (who changed his name to Oliver after his father’s death) wanted to attract attention to the Goldsmith brand and turned his design talents to the creation of striking and unusual designs that tapped into the 1950s post-war consumer desire for extravagance and originality. 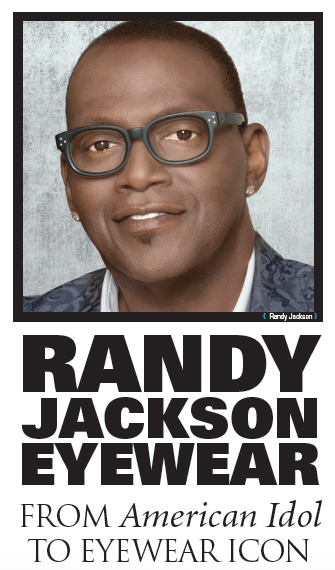 Vogue and other leading fashion magazines loved his frames and celebrities devoured them. The ‘new Oliver’, became eyewear wardrobe consultant to Princess Grace of Monaco, who owned 47 pairs of eyeglasses. The Duke of Windsor was also a customer, as was British bombshell actress Diana Dors. 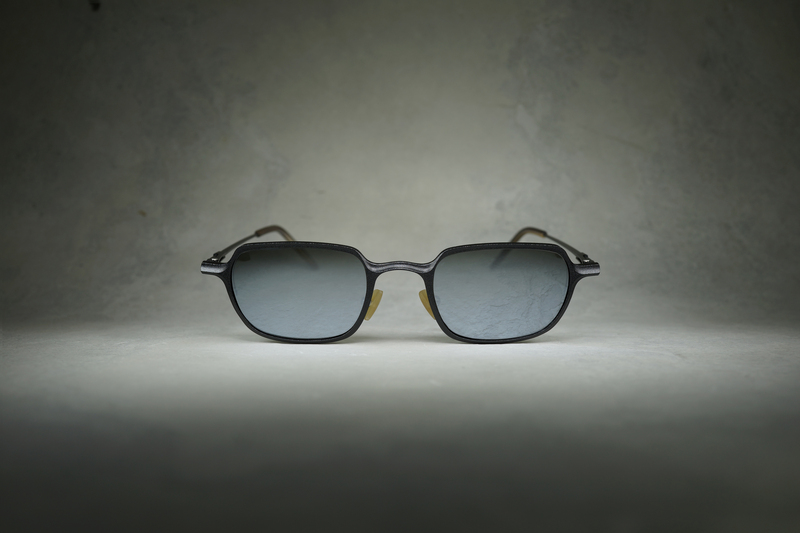 In June of this year, Oliver introduced a new collection called OGxOLIVERGOLDSMITH . 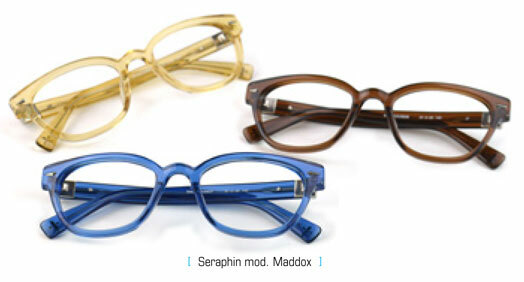 These designs were created in Japan under his supervision, and he expects to launch the collection at Vision Expo West this fall. 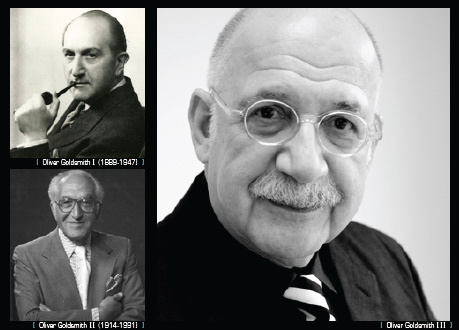 Oliver Goldsmith is just beginning a new phase after 50+ years in the business. Clearly there is more to come from this renowned designer. He is doing his forebears proud, while also grooming his daughter, Alex (an artistic presence in her own right with a thriving photography business in London) to take over one day. Not any day soon, however, as he still has plenty to do! Identical twin boys were born to an English mother and an Italian father in a suburb of Toronto. The boys, Dean and Dan Caten, were the youngest of nine children. They were also exceptionally good-looking and highly creative. They loved fashion so much that the boys bucked the gender trend of the day and insisted on being admitted to the home economics class at school so they could learn to sew. What an adventure their lives have been, from a short stint at Parsons The New School for Design in New York to an apprenticeship and eventual design leadership at Ports International in Toronto, then on to Milan, Paris and London. 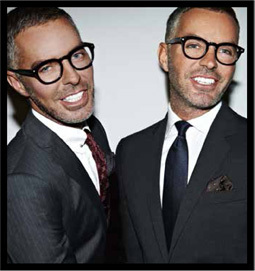 Dean and Dan Caten now head a mega-successful and outstandingly creative design house known as Dsquared2, based in Milan. The theatrical bent that made D&D successful as performers is much in evidence in their renowned cat walk events that more resemble a mini Cirque du Soleil than anything the fashion business had seen to that point. It’s clear that their many talents would have been wasted had they not created their own business in which they enjoy full artistic control. Musicians and other artistic types have gravitated to their circle. They began by creating costumes for Madonna’s 2003 world tour and have gone on to dress other famous performers, including Rihanna, Christina Aguilera, Justin Timberlake and Lenny Kravitz. 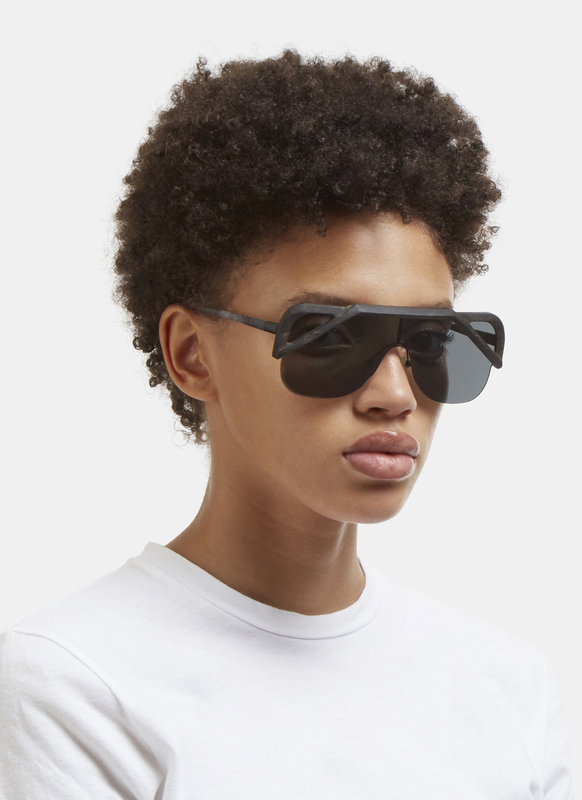 When asked to pick just one of their favourite frame designs D&D point to the runway style, oversized Jackie ‘O style sunglasses from the FW 14 ready-to-wear collection. This model, currently in the design phase, is defined by clip-on jewelry over the brow. Très chic, I’d say! Dean and Dan Caten are still young, always creative and, I’m sure, have plenty of surprises still to come. They do Canada proud!